Ever since the passing of Ursula, K. Le Guin, I’ve wanted to go and check out the work I’ve missed from her (which is a lot of it). 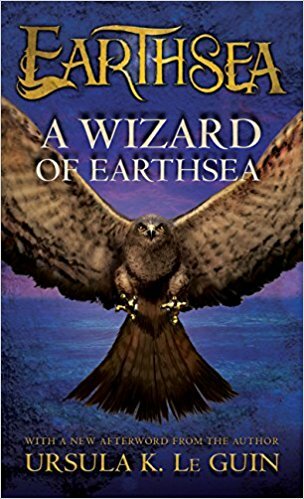 I decided to start with A Wizard of Earthsea. It's the first of many dives into her catalog that I’ll be undertaking. This story feels like a halfway point between the seminal work of Tolkien and the modern phenomena of Harry Potter. Le Guin’s ability to wield tone, metaphor and thematic resonance is marvelous and a joy to explore. Like Tolkien’s work, she draws on a mythic tone and traditional fantasy themes. Like Rowling’s work, Le Guin uses a “wizarding school” approach to magic pedagogy. Where Tolkien is light on magical theory, Le Guin digs deeper. Her magic is based on language and the naming of things to control the elements of Earthsea. While I won’t go into it here, the approach is deeper than you might expect at first. Rowling is light on the theory of her magic. Le Guin uses it as an opportunity to explore the themes of her story by diving deeper and creating a harder magic system. I appreciate that while her register and style speak to the Eurocentric tradition of fantasy, her characters don’t seem to be primarily European. I rarely see myself (as a black male) represented in the fantasy genre, and it was fantastically progressive of her to this in the 1960s. While I prefer a writing style that stands closer to the character’s point of view, I don’t find her prose as tiring as Tolkien’s work while still clearly having a firm foot in his style. If you’ve read and liked both the LOTR trilogy and the Harry Potter series, give this one a try. You’ll find it familiar and thoughtful in all the right ways. I’ll be taking a break from Earthsea to read a few other stories on my TBR pile, but I’ll definitely come back to this world soon.